(Top) Some members of the Leadership Team with Micro:bit CEO, Zach Shelby. 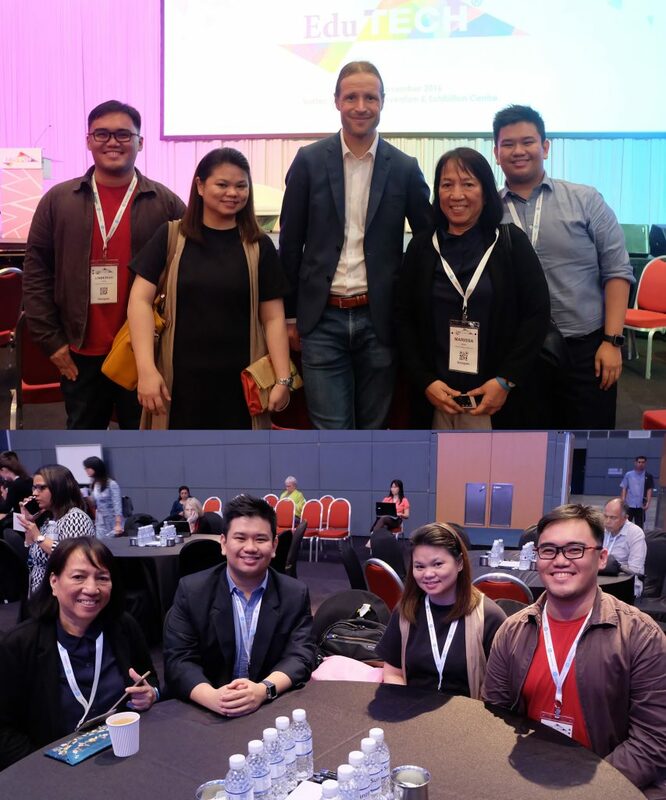 Four of the PIQC Leadership Team attended the EduTech Asia 2017 Conference in Singapore with the theme “Inspiring the Next Generation” on 8-9 November 2017. The team included Marissa F Ayson, Janette Ty, Jeffrey C Layva, and Linbergh C Ching. The conference was an opportunity to understand the way of proceeding in the field of education amidst the very rapid technological advancement. It was a gathering of educators, investors, and entrepreneurs. Many issues were raised and discussed during the parallel sessions. The impact of technology brings about the need for paradigm shift on pedagogy. Teachers must teach the students how to innovate. To teach innovation, problem solving and creativity skills must be developed by the students. Virtual reality must bring about magical experiences in the classroom. Classrooms must be designed to bring about maximum learning. Since the aim of education is inclusion rather than exclusion and segregation, education for children with special needs were also included in the discussions. The use of robotics in the classroom was a main event where entrepreneurs presented their latest products. Student outputs in the form of innovative products from different schools in Singapore were presented. There was sharing by the school leaders of the concerns they are facing in their schools. © Philippine Institute of Quezon City.